a milestone reached: ninety-one and a quarter days is a season — three months, a spring, summer, winter or fall. Call it what you will, I’m a quarter of the way through year four. And how am I doing at that intention to get up to 45 minutes to an hour of practice daily? Not so good. I’m not there. Today I did a half-hour— but I’ve had several days in a row of not doing a half-hour. The last time I did a half-hour, it was preceded by several days of not doing a half-hour. This has to change. The next 91 days should see me to the half-hour consistently, and occasionally to the 45-minute mark. What can I say about half-hour of tai chi? Well, I can say that I’m trembling and hungry at the end. That’s good. It means I’m using energy. At the same time I feel revitalized. This is also good because it means I’m cultivating gong. That’s the … Heck if I know. The vital force? I thought that was chi. I hadn’t even heard of gong until I read Dr. Yang’s book (which I still haven’t finished. It’s good, but slow-going). The other thing I can say about a half-hour of tai chi is that you make mistakes. In one version of the form today I left out a whole section, from Buddha’s Palm to diagonal single whip. In another iteration, I slipped out of balance. In another, I put too much weight on my right hip, so much the joint ached. In another, I brought my heel down on the tabletop in the kitchen rather than clearing the table completely. Oops. Ow. If you only do the form once, perfection is desired. Every move has to be deliberate and slow. If you’re after time served, mistakes are going to occur. And then you have to note those mistakes and try not to repeat them. Alas, I’m very good at repeating mistakes. I’ve made that once about skipping Buddha’s Palm to Diagonal Single Whip, before. It’s an easy one to make. Let’s hope it doesn’t continue to haunt me. 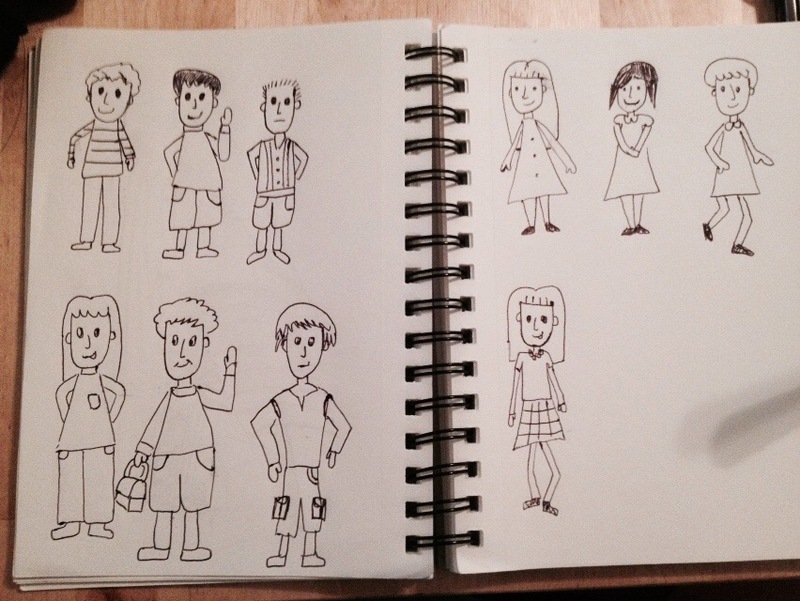 One of my summer projects is to work through some drawing skills books. My goal is to finish Sachiko Umoto’s “happy people” book, a book on fashion drawing (because I’ve seen the drawings of some of our rising fourth and fifth graders), and the general drawing course book I picked up on sale. A lot drawing turns out to be formulaic practice, until a certain level of fluidity is reached, and then confidence and experience build on that foundation. It’s very similar to tai chi in that regard.